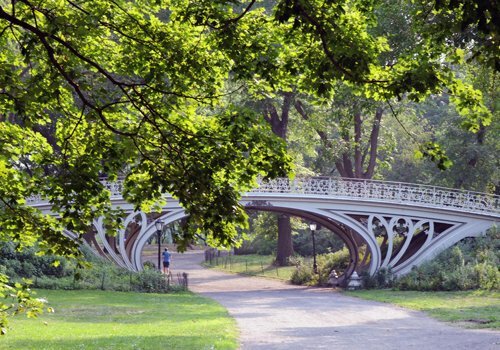 As a way of thanking members for their support, the Central Park Conservancy provides members with a wide variety of special Central Park Perks, such as reduced ticket prices for official Central Park tours and exclusive members-only events. To access your Central Park Perks discounts, please use your valid membership card. For questions about your membership, please contact our membership office at membership@centralparknyc.org or 212.310.6672. To see a full listing of Conservancy programs, including those with member benefits, visit our events calendar. Central Park Conservancy hosts exclusive member programs throughout the year that offer our donors the opportunity to learn and discover more about Central Park. Many of these programs are led by Conservancy staff and expert guides. Attendees will learn how to capture the beauty of the Park on paper in this drawing class, led by Centennial Trees of Central Park artist, Jessica Daryl Winer. Jessica Daryl Winer is a New York artist known for her work and has had numerous gallery exhibitions, public works and paintings in collections. Pre-registration is required. Members only. Please arrive 15 minutes in advance. Take one of our signature tours with your favorite furry family member and let our Central Park Conservancy guide give you an insider's look at some of the most iconic features of the world's greatest urban park. Enjoy a great variety of the scenic, sculptural and architectural elements the Park has to offer. This is an on-leash event. Due to varied terrain, strollers for dogs/people are not suggested. Please also wear comfortable shoes. To participate in this tour, you must be accompanied by a dog. Attendees should bring water and bags for their dog. Join us for a tour in one of our serene woodlands led by expert guides. *This tour has reached maximum capacity. Please check out our other tours. Attendees should bring water and wear comfortable shoes. Along with exclusive members-only events, members can take advantage of special benefits offered at public programs, including discounts on Park tours. Learn more about the Park's history, design, horticulture, and ecology with the Conservancy's expert guides. Tours are offered year-round. MEMBERS: Enjoy discounted tickets using the discount code listed on your membership card. For registration and more information visit centralparknyc.org/tours. In addition to discounts and pre-registration perks for tours and events, members are also presented with special benefits for regularly offered in-Park activities, perfect for the everyday Park patron. Borrow a Discovery Kit equipped with binoculars, a hand lens, and flora/fauna guides for an in-Park adventure. An optional Discovery Journal with suggested activities and a large kid-friendly map will guide your exploration. Best for ages 6-10. Make the most of the season with the Central Park Conservancy Bloom Guide. Discover the horticultural beauty of Central Park with vivid photos and detailed descriptions of over 200 flowers, including where and when to find them blooming in the Park. One of the perks of joining Central Park Conservancy is that Conservancy members receive discounts in Central Park. Just bring your valid membership card to any of the participating establishments and you can enjoy discounts. Purchase your favorite Central Park gifts and souvenirs online and receive a 10% discount. All proceeds go directly towards the ongoing care and maintenance of Central Park. Not a member? Become one today by signing up here. It's a quick and easy way to support the Central Park Conservancy's ongoing work to keep the Park a vital resource for you and all New Yorkers. In addition to knowing that you are part of the Park as a Conservancy member, you'll be thanked with programs and perks like those listed above, as well as other special opportunities throughout the year.